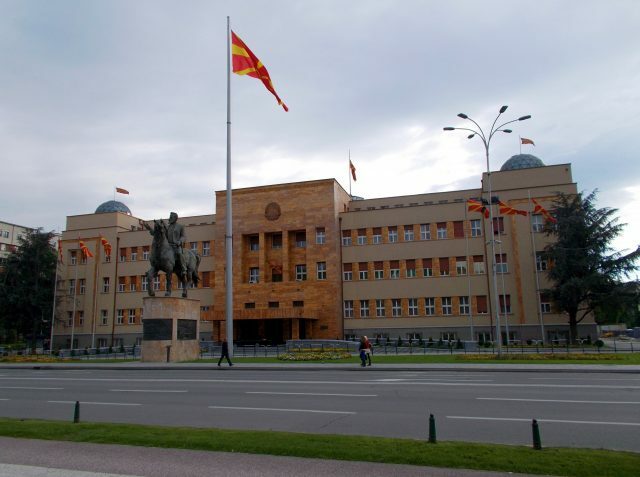 SKOPJE – The President of Parliament of Macedonia had a meeting with the Members of the European Parliament, Ivo Vajgl and Eduard Kukan, who are visiting Macedonia in the framework of 13th Conference of the Committees on European Integration from the States Covered with the Process of Stabilization and Association of South East Europe COSAP, which is held in the Assembly of Macedonia. Xhaferi informed the MEPs on the current activities in the Assembly of Macedonia and the recent developments in the political area. 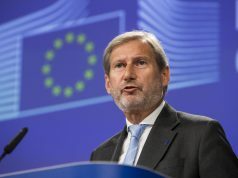 The MEPs expressed pleasure from the achieved results and the stabilization of the legislative house. 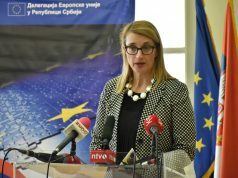 They also stated their preparedness to support all activities that will improve the cooperation of the parliamentary majority and the opposition aiming to finalize the reform processes of the state and its positive movement on the accession path to the European Union. 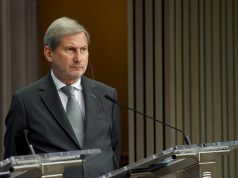 The efforts of the European Parliament for strengthening the cooperation with the Assembly of the Republic of Macedonia in direction of support of the European integration processes of the state and realization of the reform processes, necessary for positive Progress Report for Macedonia and opening accession negotiations with the European Union were reaffirmed at this meeting.